Racing, for me is all about personal achievements, accuracy and reaching my goals. I can see the benefits of doing something you are passionate about both personally and professionally as an architect and motorcycle racer. I am looking forward to partnering with mxHERO for the 2019 AFM (American Federation of Motorcyclists) season and help promote the sport, the club and my sponsors. I LIVE! I AM ARCHITECT. I AM A MOTORCYCLE RACER! Well wishes to you Eric Rogers for this year's AFM championship run. 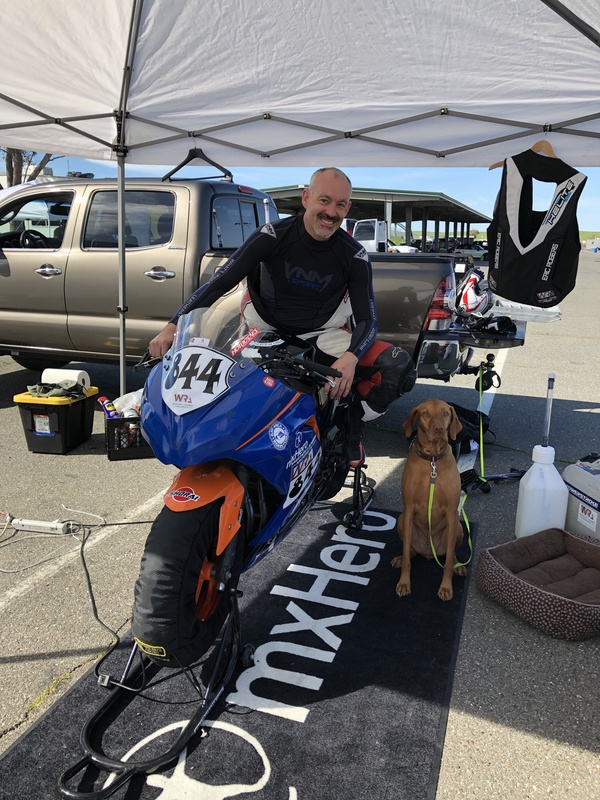 Buttonwillow looms large and it's great to see not only your sponsors and the Wagstaff+Rogers logos adorning your superbike but the logo of your 2019 sponsor mxHERO! Ride fast and good wishes with the upcoming races. Why Hire a Licensed Architect?